Joan Frain – Past president of the Philadelphia Society of Botanical Illustrators. Small group classes for all levels in botanical drawing and painting, fall and spring. cell ​(610) 952-4174; Exton, PA.
Linda Gist – Botanical drawing & painting for all levels, through the Continuing Education program at the Pennsylvania Academy of the Fine Arts. Contact: mkowbuz@pafa.edu, (215) 972-2028; Philadelphia, PA.
Donni LaBrake – Member of American Society of Botanical Illustrators. Graduate of Rochester Institute of Technology, School of Art & Design. Teaching Evening Watercolor Classes in Botanical Illustration, all skill levels, at Longwood Gardens. Classes: Spring, Summer, and Fall. Visit: Class description and registration at LongwoodGardens.org, or call (610) 388-5454; Kennett Square, PA.
Scott Rawlins – Past president of the American Society of Botanical Artists. Ongoing classes in scientific illustration at Arcadia University. Contact: rawlinss@arcadia.edu, (215) 572-2879; Glenside, PA.
Margaret Saylor – Certified by The New York Botanical Garden. Classes at Chanticleer, Mt. Cuba Center, GoogleWorks Center for the Arts (Reading), and various local venues. All levels. Note: Chanticleer sessions are offered at a discount to PSBI members. Classes: spring and fall. Visit: http://margaretsaylor.com/#instruction for more class listings. 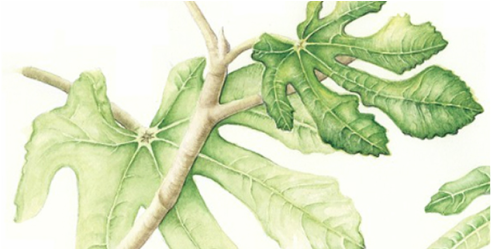 Judith Simon – Watercolor and colored pencil botanical instruction by appointment. Marylyn Waltzer – Certified Botanical Illustrator NYBG. Past president of the Philadelphia Society of Botanical Illustrators. Botanical drawing and painting. All levels at Barnes Foundation Arboretum School, ​(215) 278-7200; Merion, PA. Beginning students at Main Line School Night; Radnor, PA.
Intermediate and advanced students in small private classes, Wynnewood, PA. Workshops also taught at Haverford College, Island Heights, NJ, and Santa Fe, NM.